Europe is such a rich honeymoon playground with so much choice, it can be difficult deciding where to go. It has iconic cities, countryside and coastlines all waiting to seduce you both. You’ll never have to fly more than four hours or so, and sometimes you don’t have to fly at all if you choose to honeymoon in the UK. Of course, if you want sunbathing weather, it’s best to travel in summer, although the further south you go, the better chance of finding year-round winter sun. A good tip is to honeymoon in some of Europe’s most popular destinations in the shoulder seasons, which usually means May/June and Sept/October when the crowds have gone and it’s not so blazing hot. Of course a wintery Arctic honeymoon will be the ultimate in romance for some. Here are some suggestions of the best places to go and where to book it. And remember to tell your hotel or tour operator that this is your honeymoon as there may be extras that they will include for you such as flowers or champagne in the room or perhaps a private dinner for two. Europe’s cities are sought after by travellers worldwide, but here they are right on your honeymoon doorstep, so why not take advantage of them. What could be more straightforward than booking Eurostar (first class if you can after a night at the ultra romantic St. Pancras Renaissance London Hotel) right to the heart of Paris. This selection of luxury hotels includes the five-star boutique Lancaster in a former private residence and the charming Relais Christine hidden away on the Left Bank. Venice is another classic example of a city that never disappoints. Take a gondola ride, sigh over the Bridge of Sighs, tour the Peggy Guggenheim Collection and sunbathe at The Lido. Italy specialist Citalia has all the insider knowledge you need to make this ultra special. As well as the iconic cities, there are so many incredible ‘secondary cities’ that are often even more rewarding. When visiting Rome, why not add in Florence and Siena too? Andalucía in Southern Spain is a particularly rich in this respect with Seville, Cordoba and Granada to explore. Kirker Holidays offers great city combination honeymoons staying in historic boutique hotels that are infused with style and romance. See my pick of the best honeymoons in Italy. Europe is blessed with some of the most sublime countryside in the world. One of my favourite destinations is Tuscany where you can stay at a villa for two and explore rolling hills and vineyards. The UK has raised the stakes over recent years in terms of countryside accommodation. Rural Retreats has romantic country cottages for two all across the UK. Scotland offers lush countryside, warm hospitality in country house hotels, dolphin watching, whisky tasting and moonlit kayaking. I love this indulgent Luxury Honeymoon in Edinburgh, Loch Ness and a private island hotel. For something different you could rent one of these big houses for a wedding or reception (then perhaps sneak away for some time to yourselves). Examples include the spectacular Chateau Romantic in France which can host up to 80 guests overnight, and XVIII Century Manor in Tuscany which sleeps 33. Italy’s Amalfi Coast is perfect for honeymooners with iconic towns like Sorrento to explore, craggy coves and delicious cuisine, not to mention incredible history, culture and natural sights from Pompeii to Mount Vesuvius. Classic Collection can organise a honeymoon to the best hotels in the region including the contemporary Casa Angelina which has its own private beach. The Italian island of Sicily – the largest island in the Med – combines ancient history with glorious countryside and lovely beaches. Best hotels for honeymooners include The Ashbee in a spectacular location overlooking Taormina and the Alba Palace Hotel which has a lovely rooftop dining area with views of the surrounding town. The Adriatic is fast becoming a more affordable rival to France’s Cote D’Azur. Croatia is beloved of yachties who sail between the unspoilt islands, the stunning walled town of Dubrovnik and fashionable spots like Hvar Town with great four-star resort such as Hotel Podstine. Completely Croatia is a fabulous tour operator which has the low down on this region. Don’t forget the Canaries where Tenerife is my pick. It’s a great year-round option with direct flights from across the UK and lots of activities to keep you entertained, from whale watching to climbing Mount Teide. Best places to stay include the adults-only Red Level at Gran Melia Palacio de Isora, and the fabulous The Ritz-Carlton Abama. Turkey has been climbing up the honeymoon hit list steadily as its hotels improve and the world wakes up to its authentic charms and value for money. It’s a four-hour flight with a reliably sunny year round climate, stunning coast and heritage to rival any Mediterranean destination. Turkey has a range of charming places to stay such as Mandarin Boutique Hotel in the unspoilt countryside just a short drive from the resorts of Fethiye and Oludeniz. And don’t forget lakes – I’m talking about the gorgeous Italian Lakes which are great value in summer. The classic include Lake Como, Lake Maggiore and Lake Iseo. Europe has an incredibly diverse amount of island destinations. And I always think there’s something ultra romantic about honeymooning on an island. Madeira is a great option, and surprisingly hip with everything from extreme sports to traditional quintas (manor houses) converted into boutique hotels, all with romantic garden settings. The Greek Islands take some beating when it comes to honeymoons. Easy to get to and yet exotic, laid back and yet exciting, there’s an island for every kind of couple. For romance it’s hard to beat Santorini while party people should check out Mykonos. For under the radar hideaways in the Greek Islands, head to i-escape. If you want more privacy, rent one of these villas for two in Greece, many of which have their own swimming pool. I’m a big fan of the Balearic Islands (Mallorca, Minorca, Ibiza and Formentera) as they all combine old school Med with innovative design and a happening vibe. They have that exciting feel you get from an island destination and all have strong cultures all of their own. Mallorca is the perfect honeymoon island where you can combine the hip capital of Palma with a rural idyll by the sea. Vintage Travel has a great collection of villas for two. Ibiza is one of my favourite islands in the world – I love its laid-back vibe and artistic energy. This range of accommodation from i-escape includes this seriously hip retreat with a Balinese spa, three restaurants, chill-out area with day beds and DJs at night. The Italian island of Sardinia is closer to Africa than Italy and a tried and tested honeymoon spot with all singing all dancing resorts like Forte Village to contemporary boutique hideaways such as Coluccia Hotel and Beach Club. Find out more from Sardatur Holidays. Capri off the Amalfi Coast is one of those chichi islands known as a hangout for celebs and millionaires. You’re not going to find a bargain here, but you are going to find a classy, memorable honeymoon with superb service and style. Exsus features ones of the most elegant hotels in the Med, the Capri Palace Hotel & Spa with sensational views across the Bay of Naples. Book a suite with a private pool and garden for ultimate honeymoon luxury. The French island of Corsica has a sophistication and old world charm. Add in powder white sand, dramatic mountains and historic towns, and why would you bother flying long haul? Corsican Places is one of the leading specialists on the island offering hotels, villas and apartments across most budgets. 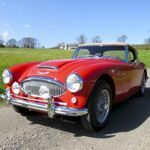 For something different, honeymooners can find romance in the Scottish islands with McKinlay Kidd who can send you off on an island odyssey to Arran, Islay, Iona, the Outer Hebrides, Orkneys or Shetlands. Europe has a long tradition of touring holidays. The Grand Tour was an aristocratic institution in the early 20th century. These days, what better opportunity to take an extended tour of Europe than your honeymoon. For something active, book a cycling honeymoon round Italy. Headwater has some inspiring routes, some off-road. Romantic itineraries include gastronomic routes in Piedmont and Chianti. And the best thing is, your bags are taken from hotel to hotel for you. If you really fancy exploring destinations, a great solution is a honeymoon cruise. Star Clippers is one of the most romantic with its tall sailing ships. Itineraries include the Greek Islands, the turquoise waters off Turkey’s coastline, mini moons along the Riviera Coast and cruises to Italy, Corsica, Sicily, Montenegro and Croatia. As these ships are much smaller and more intimate than mega liners, they are able to drop anchor in picturesque bays and harbours. Find out more. If you want to push further north, an Arctic honeymoon will have you oohing and arrhing at the snowy landscapes of Finnish Lapland, Sweden, Norway and Iceland. Artisan Travel arranges wintery honeymoons in surreal and deeply romantic hideaways. Stay in a glass igloo and marvel at the Northern Lights above or chill out in a luxury tepee with a private hot tub after a day’s husky sledding. Regent Holidays also offers some fabulous honeymoons in Iceland where it recommends the Hotel Ranga, a cosy four-star rural retreat with great views of the Northern Lights. In Reykjavik, try the gorgeous art-deco Hotel Borg. 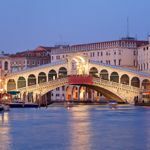 Europe is great for mini moons – romantic getaways of about two to four days when you don’t have enough time for a fully blown honeymoon or are saving your big trip until later. Of course the UK is a great choice. See my full list of mini moon ideas. Need help with arrangements? Read Jane’s advice on honeymoon planning. Need more inspiration? Here’s a selection of honeymoon packages. See Jane’s 20 tips on how to make your honeymoon extra special.